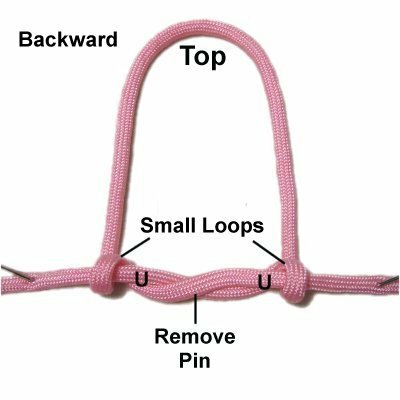 Description: The Drop Loop is a unique way to make a stable loop for a Macrame project. What's nice about this loop design is that the ends are horizontal when you finish. You can use them as holding cords, and mount other cords onto them as you start your project. 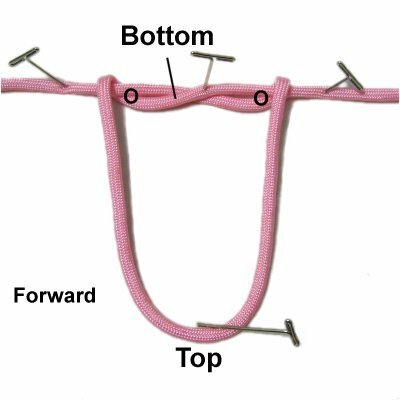 By making the loop small, this technique can also be used to make picots along the upper edges of items like curtains and wall hangings. The ends can be brought down vertically if necessary. 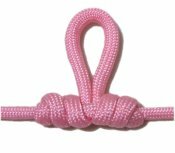 To practice the Drop Loop, you need one cord 36 inches long. 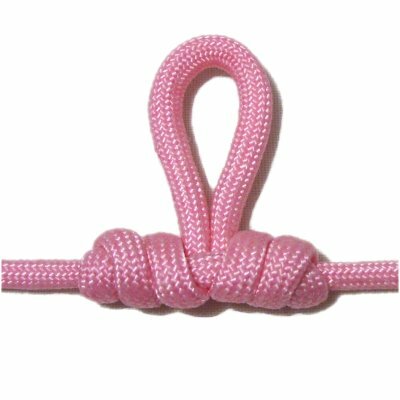 Paracord was used in the example shown. It needs to be melted at the tips to prevent unraveling. 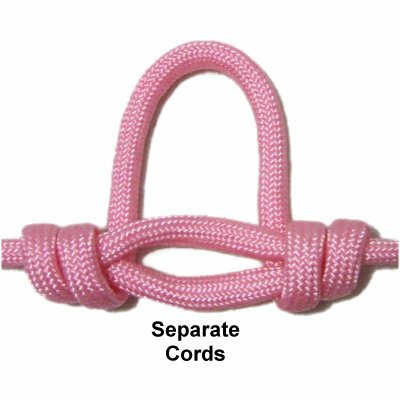 Move the right half to the left, passing over the left half of the cord. It should be arranged diagonally as shown in this image. Step 2: Move the left half of the cord over the right half at two points -- in bottom center area, and on the right. 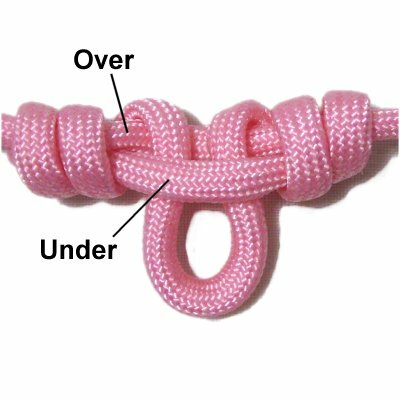 The loop should be at least 4 inches long, from the top down to the crossed area at the bottom. Step 3: Widen the bottom of the loop so the area is around 3 inches wide. Secure the crossed area. 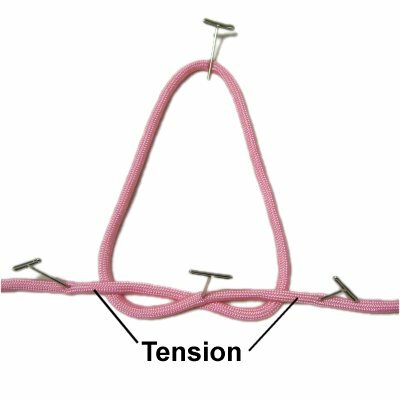 Arrange the two ends horizontally, and secure them so they have tension. Step 4: Pull the top of the loop towards the front of your board (forward). It should pass over the crossed area at the bottom of the loop. Step 5: Temporarily remove the pin at the crossed area. Make sure you hold the cords, so they remain crossed. 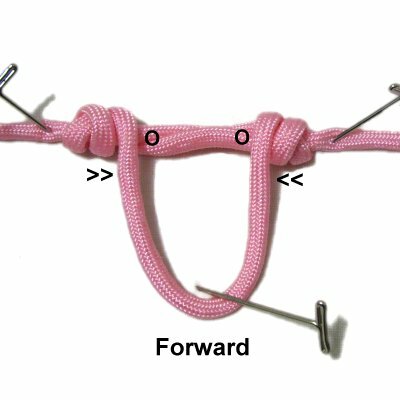 To complete the first pair of small loops, move the top of the large loop under the crossed area, heading towards the back of your board (backward). Step 6: Tighten the small loops you just made. 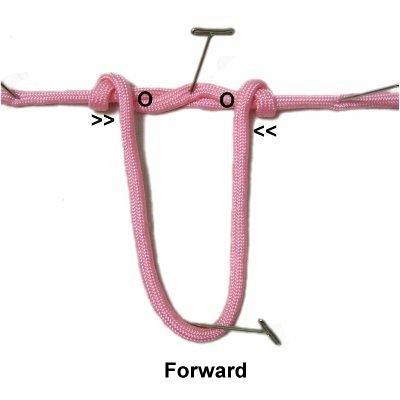 Start the second pair by moving the top of the Drop Loop forward, passing over the crossed area. It should rest between the first set of small loops (arrows). 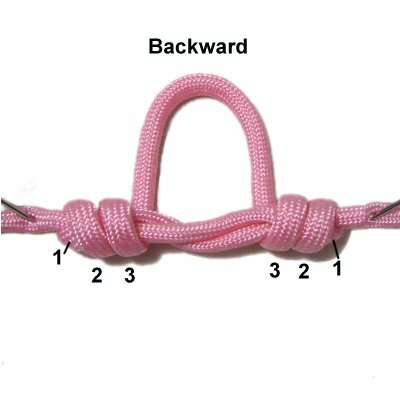 Step 7: Complete the second pair of small loops by moving the top of the large loop backward, passing under the crossed area. Step 8: Tighten the small loops if necessary. Start the third set by moving the large loop forward, over the crossed area. It should rest between the other loops (arrows). 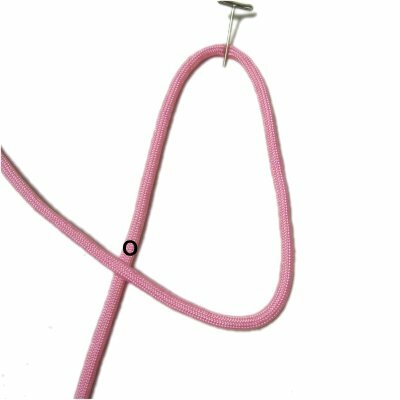 Step 9: Complete the third set of small loops by moving the top of the large loop under the crossed area, heading backward. The first set of loops may be partially hidden at this point, and the crossed area may have straightened. Don't worry if this occurs, it's fine. Step 10: Create a space by separating the cords in the area where they were crossed. Step 11: Pass the top of the large loop through the space from the top. It should pass over the first segment and under the segment closest to you. 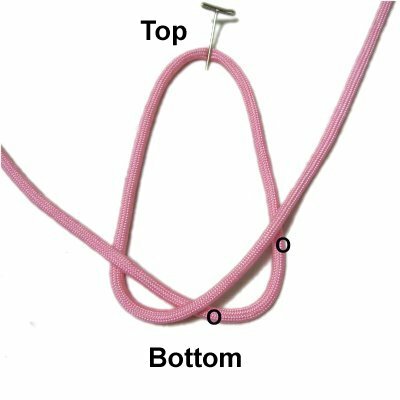 Step 12: Tighten the Drop Loop by pushing the small loops towards each other. Pull on the ends as well as the loop, until all areas are firm and neat. 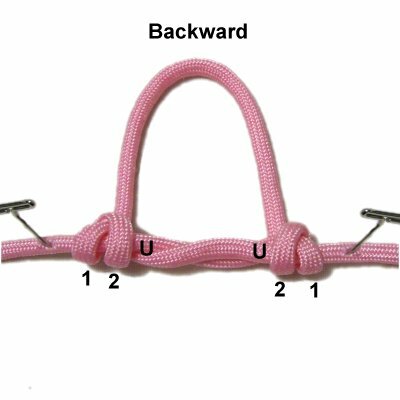 Have any comments about the Drop Loop? Contact Me.